Diseñado para ser utilizado con el currículo de Abeka Biblia grados 7-12, el himnario Cantar Himnos de Alabanza incluye himnos y coros clásicos como: Redimido, Padre Yo te Adoro, Su Nombre es Maravilloso, El Primer Noel, Gloria a Su Nombre, Jesús Nos Llama, O Adorar al Rey, Victoria en Jesús, Cristo se Presentó, Ven tu Fuente, Alegría del Mundo, y otros. 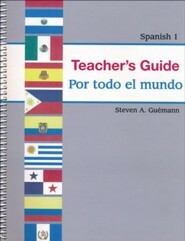 Están incluidos letra y mzsica de todas las canciones. 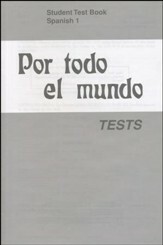 Aproximadamente 231 paginas, tapa rustica. 6.375" x 9". 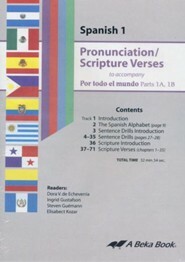 Designed to be used with the Abeka Bible curriculum for grades 7-12, or the Spanish foreign language curriculum for grades 9-12, this Spanish-language Sing His Praise Hymnal features classic hymns and choruses, including: Redeemed, Father I Adore You, His Name is Wonderful, The First Noel, Glory to His Name, Jesus Calls Us, O Worship the King, Victory in Jesus, Christ Arose, Come Thou Fount, Joy to the World, and others. 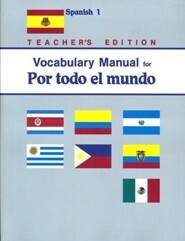 Words and music for all songs are included. Approximately 231 pages, softcover, spiralbound. 6.375" x 9". 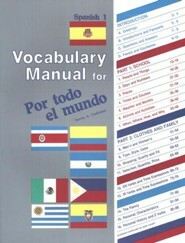 A Spanish and English song index is included. 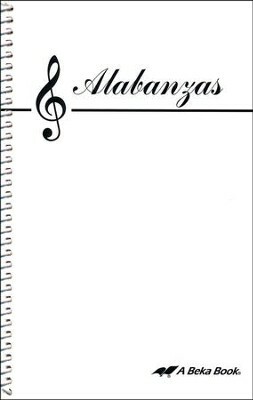 I'm the author/artist and I want to review Abeka Alabanzas--Spanish Praises Songbook.